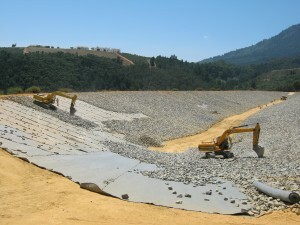 To protect against erosion and wave action, bidim A8 was placed underneath the rip rap. The bidim used in this project was produced using over 707 000 recycled cooldrink bottles. 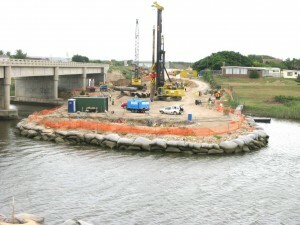 In order to carry out repairs on the bridge, a temporary construction platform was created with dune sand. 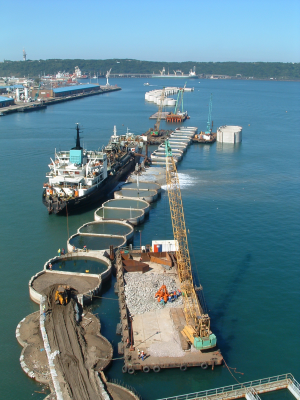 With the velocity of the water, the sand was kept in place using glazed geocontainers of bidim A6 and the platforms supported the entire 17 month construction. 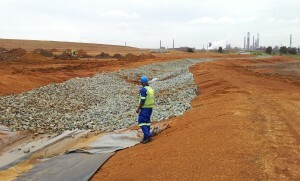 bidim A4 was laid below and over the HDPE layer as liner protection of the capping of this waste facility. 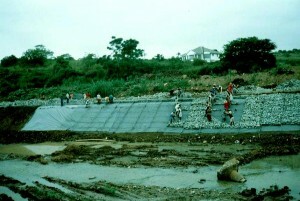 It was also used as part of a riprap system in the storm water drainage canals. bidim placed below the reno mattresses prevents scour and does not allow the build up of excessive pore water pressure.